I am so excited to partner with Kirkland's to bring you a special Holiday Gift guide! This year, my cousin was hosting Thanksgiving in her new home and I thought it was the perfect time to give her a housewarming/hostess gift! 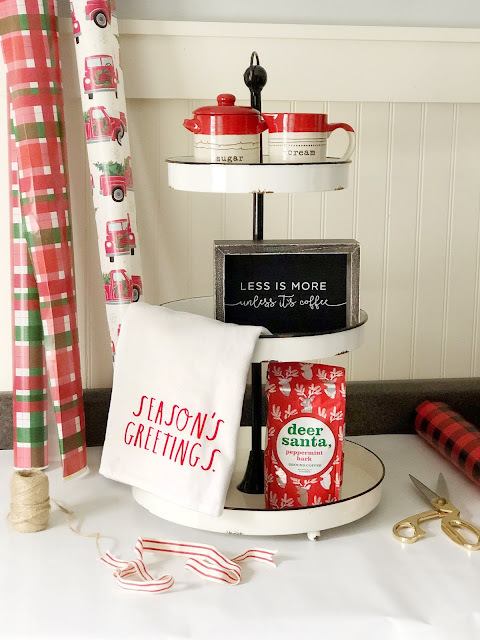 Kirkland's made it so easy to put this fun 'Coffee Station' together from their Coffee & Cocoa gifting collection! Here are the items I used for this fun Coffee Station! Here are some other things I loved from their gifting lines! If you want to go a completely different route,- you could give that special someone something from the fun, rose-themed collection! If you're looking for the perfect 'go to' gift for anyone on your list- head over to the Cozy Shop! And who could forget our furry friends?! Kirkland's has you covered! I had so much fun putting together this fun gift guide and hope you were inspired and found a thing or two for those special people in your life! What was your favorite? Share with me in the comments below! 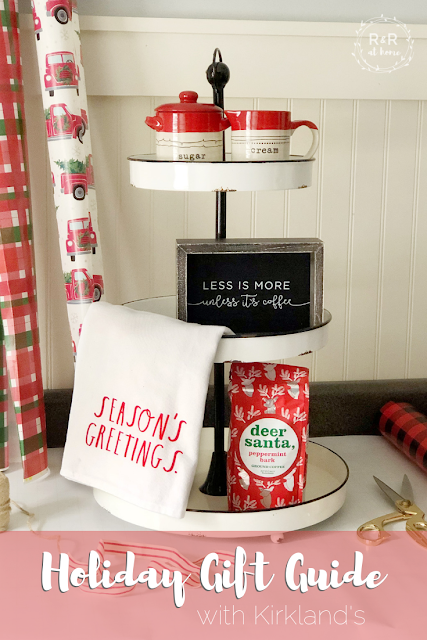 Click here for a look at all of Kirkland's gifting collection!